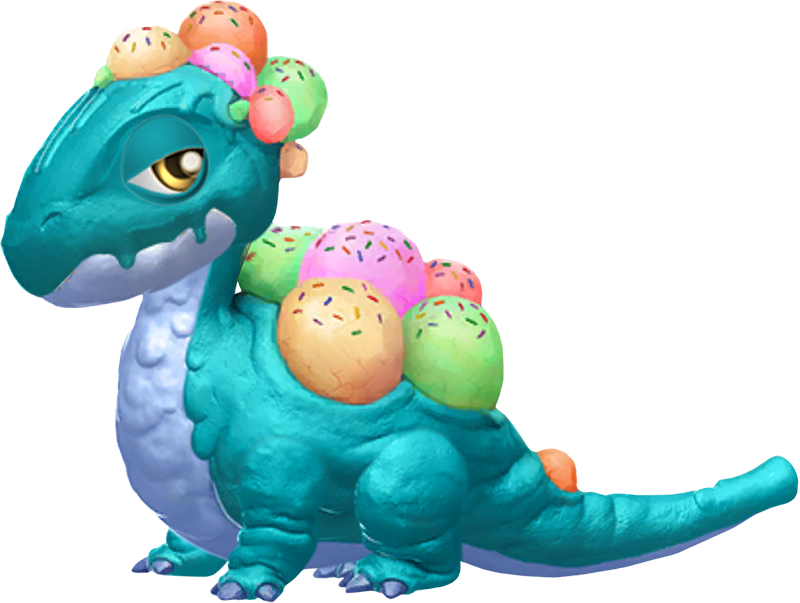 The Ice Cream Dragon is a popular fellow who grows delicious ice cream out of its body. It likes to walk around whistling a cheery tune, and if you stop it, it'll trade some ice cream for a few coins. The body style of the Ice Cream Dragon is stout. It has a teal body with light blue underbelly and claws. Its whole body looks wet and slushy, giving it the appearance that it is melting, much like what actual ice cream would do in warm conditions. Its eyes are a golden color, while piles of different flavors of ice cream rest on top of its head and back, with one orange scoop resting at the base of the tail. These scoops of ice cream come in the colors of pink, light green, orange, creamy yellow, and light red, and they are all sprinkled with rainbow sprinkles. 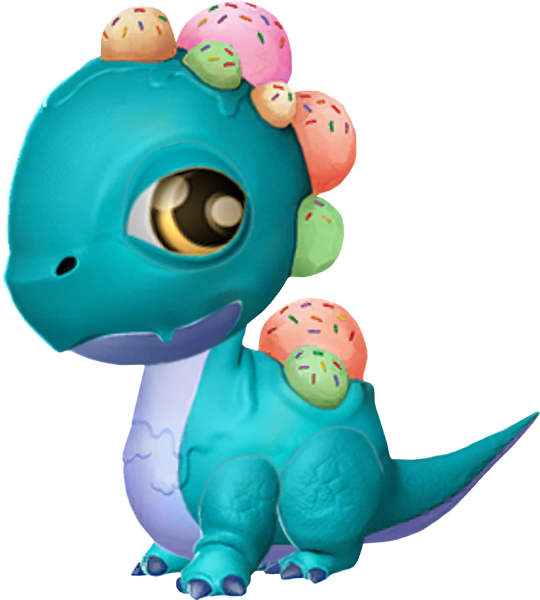 The Ice Cream Dragon is an Event-Only Dragon which can be obtained most frequently through one or more of the various events within the realm of Dragolandia. 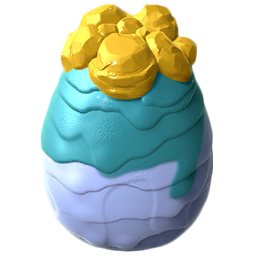 Once this Dragon is obtained and then subsequently housed on an island, duplicate eggs can be purchased through the Dragon Codex in exchange for 3,450 Gems. Breed the Water Dragon with the Black Armor Dragon. Choose the Wind Dragon and breed it with the Rust Dragon. Breed the Water Dragon with the Golden Crow Dragon. 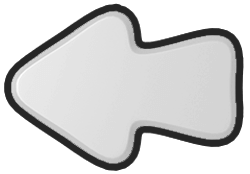 Choose the Metal Dragon and breed it with the Banana Dragon. Choose the Energy Dragon and breed it with the Coral Dragon. 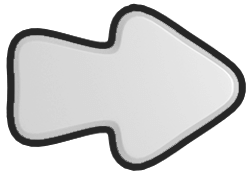 This page was last edited on 7 December 2018, at 10:40.